Astra 5B will be deployed at the orbital position 31.5 degrees East, extending SES ASTRA’s transponder capacity and geographical reach over Eastern European and neighboring markets for DTH, Direct-to-Cable (DTC) and contribution feeds to Digital Terrestrial Television (DTT) networks. It will also carry a hosted L-band payload for the European Commission’s European Geostationary Navigation Overlay Service (EGNOS). 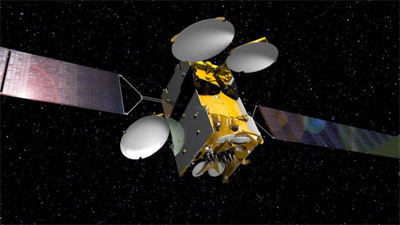 Avanti has leased in September 2015 a steerable Ka-band beam on Astra 5B for the satellite’s remaining life of 13.5 years. The capacity, totaling about 3 GHz, can be targeted to Europe, the Middle East and Africa and is marketed as HYLAS 2B. The lease of the Astra 5B capacity will permit Avanti to develop a market it had intended to serve with the delayed Hylas 3 satellite.